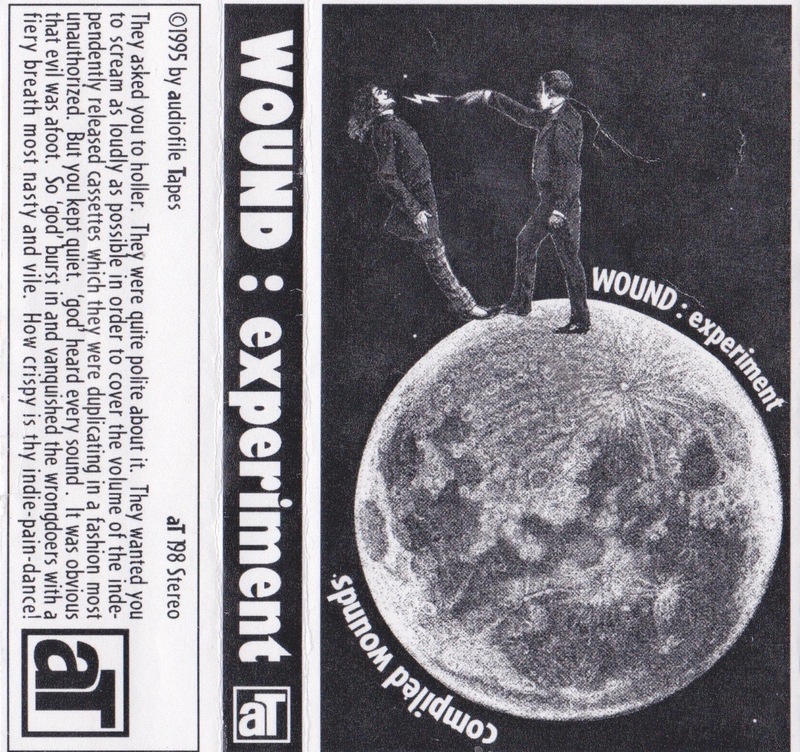 The Living Archive of Underground Music: Wound: experiment "Compiled Wounds"
Wound:experiment was the project of Sascha Kaminski, at that time based in Bremen, Germany. This was always one of my favorite tapes on the audiofile label and the tracks wove their way through many moods and textures similar to the way Lieutenant Caramel or Brume did. This cassette was compiled from several tapes that came before and the liner notes indicate that the sources were from IRRE, and some other German labels. On discogs I found some evidence of other material by Kaminski. He had a tape in 1993 called “Traumpfad” and there may have been others or compilation tracks by I am not finding much.